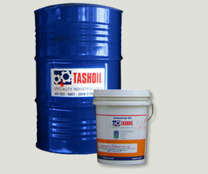 Spindle Oil / Knitting Oil :: Tashoil Company Pvt. Ltd.
Spintash-22 is low viscosity lubricants containing anti-ware, anti-rush and anti foam additives. This oil is recommended for lubrication of textile and machine tool spindle bearings, timing gears, positive displacement blowers, and for tracer mechanism and hydraulic systems of certain high precision machine tools.